NEW YORK – (RealEstateRama) — Attorney General Eric T. Schneiderman today announced a $1.6 million settlement with Queens-based American Hope Group, Inc. and its principal, Mauricio Villamarin Martinez (collectively “American Hope Group”), following an investigation into a fraudulent mortgage rescue scheme that preyed upon financially vulnerable Hispanic homeowners who were desperate to save their homes from foreclosure. The AG’s investigation found that American Hope Group collected millions of dollars in monthly fees from consumers, yet routinely failed to deliver on its promises to provide substantial relief from unaffordable mortgage payments through loan modifications and other forms of foreclosure prevention. The settlement, a Consent Order, concludes the AG’s investigation into American Hope Group’s mortgage rescue scheme. American Hope Group generated millions of dollars by inducing homeowners to pay an illegal upfront fee of $2850, followed by a recurring monthly fee of typically $695, by misrepresenting the likelihood of obtaining a loan modification, principal reduction, lower interest rate, or other foreclosure relief if homeowners utilized American Hope Group’s loan modification and audit services. American Hope Group misrepresented that it was a leading organization in mortgage restructuring and that it had obtained millions of dollars in mortgage modifications. Through its advertisements in Spanish-language newspapers, direct mail solicitations, and website, American Hope Group vigorously promoted the use of forensic and securitization audits as a means to identify errors in mortgage loan documents, defend against foreclosure, and win concessions from mortgage servicers. Although American Hope Group charged consumers thousands of dollars for these audits, the audits typically had very little value at all. American Hope Group also directed homeowners to avoid interactions with their mortgage servicers and, in some cases, directed homeowners to stop making their mortgage payments, thereby placing consumers in greater danger of foreclosure. Furthermore, the company’s advertisements lacked critical disclosures required by law that are designed to protect consumers, such as informing the consumer that American Hope Group is not associated with the government, that their services are not approved by the government or the consumer’s lender, and that the consumer’s lender may not agree to modify the consumer’s mortgage loan even if the consumer uses American Hope Group’s services. American Hope Group also failed to disclose that the consumer could stop doing business with the company at any time and did not have to pay anything to the company if he rejects the offer of mortgage assistance obtained from the mortgage servicer. Many consumers found themselves in a worse position vis-à-vis their mortgages than they would have been had they not turned to American Hope Group for help, often having to negotiate with mortgage servicers on their own, being forced into foreclosure, and even losing their homes. telling consumers that they cannot or should not contact or communicate with their mortgage servicer. The Attorney General’s Consent Order also prohibits American Hope Group from attempting to collect, collecting, selling, assigning, or otherwise transferring any right to collect payment from consumers who purchased its services prior to October 2015. The Consent also requires American Hope Group to make required disclosures such as that mortgage assistance relief services may be obtained free of charge from approved non-profit housing counselors and that consumers need not pay for such services until they accept a modification. If American Hope Group or its principal fails to comply with the terms of the Consent Order, they must pay $10 million. If you believe you were a victim of American Hope Group, or if you believe you were a victim of another mortgage rescue scam, please file a complaint with the Attorney General’s Office. Complaint forms are available here. You may also call the Attorney General’s Consumer Hotline at 1-800-771-7755. Free help to homeowners is available through the Home Owner Protection Program (HOPP), which uses funds from the National Mortgage Settlement to fund legal services and housing counseling across New York to provide foreclosure prevention services. Consumers can call 1-855-HOME-456 for help. 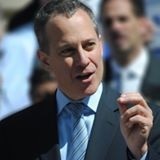 Attorney General Schneiderman’s program funds roughly 90 organizations across the state, and HOPP has served a combined total of 60,000 families since its launch in October of 2012.